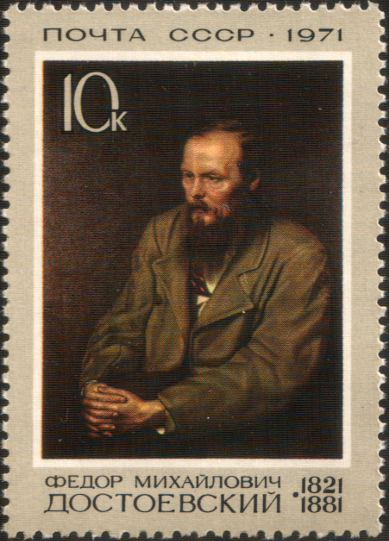 1971 Soviet stamp commemorating the 150th anniversary of Dostoevsky’s birth. The image is from a painting by Vasily Perov. You may wish to praise us for something that touched you personally or made you think, or you may wish to berate us for ideas and opinions that make you boil over with rage. In either case, please do! After all, we can't make a letters column out of circulars and offers to switch our domain name service! Or send email to <brainfever@matchlock.com>.